On May 6, 2012 the Mercer County Radio Control Club held their Annual Building Contest in conjunction with Opening Day at the club field. Member participation was good. There were 8 people who entered the contest this year. Two classes were represented with (4) airplanes in scale and (4) in non-scale. The turn- out was better than what I expected, considering that we eliminated the A.R.F. class. I thought the workmanship on Tom Dyl’s P-51 (in the scale class) was superb. 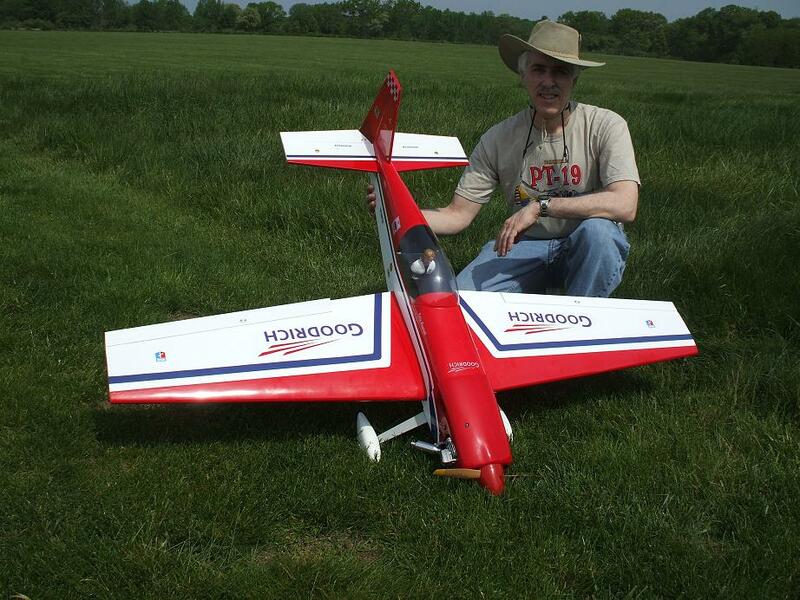 I was glad to see a fairly new member, Brian Hoffman, with his Lew Andrews, Aeromaster bi-plane. 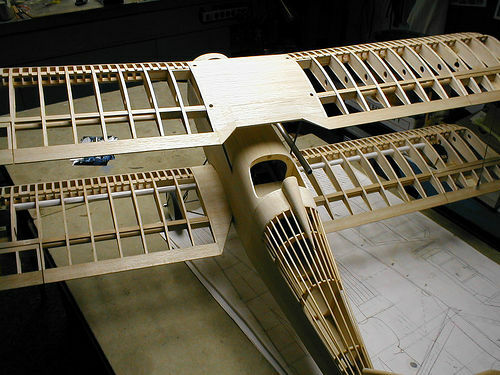 I have known Brain for over thirty-five years and he started to build this airplane over twenty years ago. Bill Malinski did a great job on his Pitts. Bill had full documentation for his airplane with the actual photos of Jason Flood’s full size Pitts. We also had two other members entered for the first time, Haakon Aurdal and Richard Stryeski. Welcome to the contest! Of the eight entries, only six qualified as contestants. Unfortunately Carl Gubkin lost his Pete ‘n Poke in a crash because of an electrical problem and due to technical problems with the receiver, Haakon Aurdal never got to fly his Nieuport. We had great flying weather with over 1/3 third of the membership turning out for this annual event. We provided hot dogs and refreshments to help make this opening day a success. Richard Stryeski ready to photograph his kit-built Great Planes Super Sportster, powered by a Magnum .70 with Nobu Iwasawa at the controls. Rich spent approximately 5 months on the kit and is waiting for the decals. (non-scale) The Super Sportster ready for take-off.